The Shearwater University Kayaking School provides skill development to make this beautiful activity safe and enjoyable for people who love being close to nature on the Salish Sea. This four day sea kayaking immersion class will launch a lifetime of safe and inspiring kayaking adventures. We will cover everything you need to get you started exploring the Salish Sea. 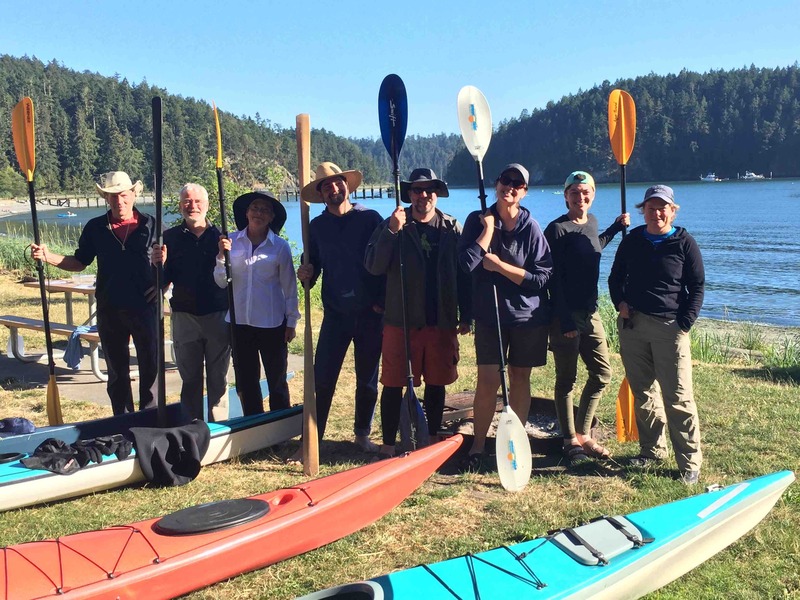 Taught by a master mariner, American Canoe Association Certified Instructor, and professional educator, the course includes all the skills and content for ACA Coastal Kayaking Level 1 through Level 3. Your 14 foot or larger sea kayak, or rent one of ours. Schedule: 9 – 5 for 4 days; combination of shore school and on-water skill development. A seven-hour class for those who want a basic introduction to paddling and safety. Prepares you to kayak in calm, nearshore waters, to enjoy the simple beauty of the water and shoreline. Bowman Bay in Deception Pass State Park - at the edge of paddling paradise. This is the most important skill set to learn after being introduced to kayaking, and before venturing away from the shore. This six-hour class will cover the knowledge and skills to keep you safe while paddling. Prerequisites: Beginning level kayaking experience. In & Out, Paddle About fulfills this requirement, or any prior experience such that you can do basic paddling and maneuvering of a kayak. You’ve been paddling with others, but would like to plan and lead some trips of your own. This eight hour course covers the ingredients for safe and enjoyable kayaking excursions. You have participated in a number of day paddles led by others, and possibly even over night kayaking trips. You have good paddling and maneuvering skills. You have a solid self-rescue and skills to assist another kayaker back into their boat. Choose your class from the registration drop down menu below. Location: Seafarers’ Memorial Park Building, Anacortes. Apply your skills to planning a kayaking trip for the next day. Our sea kayaks come with a paddle, spray skirt, life jacket, paddle float, and pump. All prices are "per day". Contact us for scheduling. Phyllis Woolwine has been paddling the Salish Sea and the Inside Passage for over 30 years. 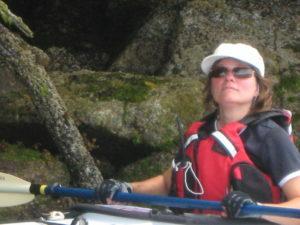 An American Canoe Association Certified Coastal Kayaking Instructor, she has planned, navigated, and led extended sea kayaking expeditions in these Northwest waters since the late 80s. As much as paddling is in her bones, education is in her heart and mind. Phyllis has been a professional teacher and teacher educator for her entire adult life. Connecting with students, their individual learning styles, and helping them reach their personal goals, is her passion and life’s mission. Martin Barker is a passionate kayaker who began his love for the sport in the English Channel, and continued with explorations of the Salish Sea and Inside Passage. 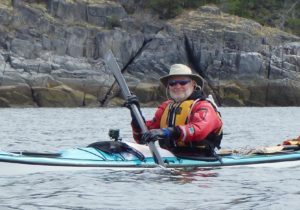 He has been teaching kayaking skills and leading trips in the Salish Sea since 2009. Martin is an Assistant Kayaking Instructor for the Shearwater University School of Kayaking.